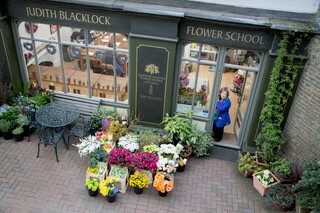 Judith Blacklock is a leading name in the world of floristry and author of 16 best-selling books. 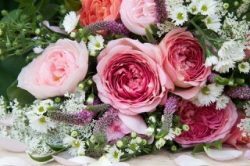 Here she reveals her quick tips, tools and tactics for flower lovers. Q: Tell us about your first job in horticulture? A: My mother was an avid flower arranger, exhibiting at The Chelsea Flower Show, where she won many gold medals. Flowers were the last thing that I was going to do, but eventually I decided to go into flowers. Later, I was left some money by my father. It was the first time in my life that I had any money to invest, so I opened The Judith Blacklock Flower School on Kinnerton Place South. That was about 16 years ago. I have never looked back. Q: Have you taught many famous people at your flower school over the years? A: Yes, I have taught Keeley Hawes, James May, Mark Francis from Made in Chelsea, John Sergeant and Kirsty Allsopp among many others. A: I would take a stack of books, a Sixties album (the Drifters) and a bowl of cherries. A: My mother inspires me. Even at 98, when she comes back from the shops, she prioritises arranging the flowers before putting the food away. A: There are so many interesting people in London, from every country in the world, all right in the heart of Knightsbridge. And that’s exciting. I think we’ve had a visitor from almost every country in the world: from Kuwait and Australia, to Puerto Rico and the Faroe Islands. Q: Can you give us six tips for buying fresh flowers? A: Flowers in season will be stronger, last longer and be less expensive. Choose a good shop or supermarket to buy your flowers that have clean containers and fresh water. The scent of fragrant flowers is stronger in a warm room rather than one that is cooler. If there is pollen on the petals, it is an indication that the flower is coming to the end of its life. Double flowers generally last longer than single flowers. Buds that do not show any colour are unlikely to open: think spray carnation (Dianthus), Freesia and Peony. Q: Do you have any flowers named after you? A: Yes, there is the Judith Blacklock rose (deep cherry-pink). All the profit from the sale of this rose goes to the Alzheimer’s Society – a cause that is close to my heart. Q: Any suggestions for autumnal flowers? A: Hydrangeas are one of the best autumnal flowers. They are bold, exciting and one of the most fashionable flowers. They change colour according to the pH of the soil. You will find blue hydrangeas in acid soil and pink in alkaline soil. Q: How do you make flowers last longer? A: Everyone wants their flowers to look good for as long as possible, it’s down to economics, time management and wanting beauty to last. Cut flower food really does work. When you buy flowers, a sachet will usually be attached so don’t throw it away. If your containers are spotlessly clean, bacteria will find it more difficult to multiply, so your flowers will last longer. Cut the stem at an angle to remove 10 per cent from the bottom immediately before placing in water. You will create a greater surface area for water to be absorbed. But if you cut the angles too sharply or with a blunt knife, then the ends will be blunted and damaged. Flowers can last longer in cooler rooms, but air conditioning shortens their life as the air movement removes moisture from the leaves and petals. Televisions emit heat, so keep flowers at a reasonable distance. Evergreen foliage is often dirty. Try to remove the dirt, fill a bowl with warm water and a dash of liquid soap, then gently wash and rinse the leaves. Adding sugar to water does not make a flower last longer as it encourages bacteria to multiply. A: I am very happy in the present. Q: Have you had any DIY disasters over the years? A: I avoid DIY at all costs. Q: What makes your dream home? A: A home with a good garden in England. All my life, I have thought that my dream home was Georgian, but being useless at DIY and wanting an easy life, I now want a home that is easy to maintain. 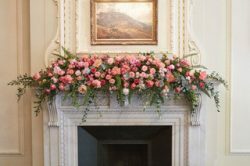 Q: What are the easiest and hardest flowers to use when flower arranging? A: Gerberas are easy because they do not change shape as they mature. Peonies and lilies are lovely, but they develop at their own pace. Consequently, they are at their best placed simply in a vase and allowed to do their own thing. A: A couple of designers spring to mind. Antoni Gaudi in Barcelona and Antony Gormley, who designed the Angel of the North. He also designed “Another Place” where cast iron figures stand in the sea on Crosby Beach, Liverpool. John Warland is one of my favourite garden designers, who created the Pearlfisher Garden at Chelsea this year, highlighting the damage that plastic can cause to our natural environment. Q: What is your most important room in the house? A: The kitchen: where we sit together as a family to eat. I love cooking and it is so good to have the family around to discuss the happenings of the day. Q: And finally, what advice would you give to anyone who wants to become a florist? A: Come to my flower school and I can teach you everything you need to know to change your career in two weeks. 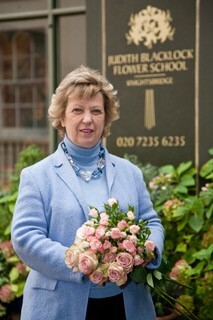 Find out more about the Judith Blacklock Flower School at judithblacklock.com or visit 4-5 Kinnerton Place South, London, SW1X 8EH. 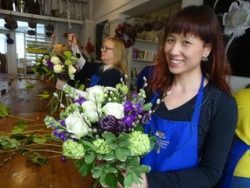 London courses include: Styling Your Home with Flowers, Introduction to Floristry and Purely Weddings. 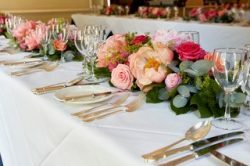 Read more: Arranging Flowers in a Vase, Cut Flowers (the essential A-Z guide) and Contemporary Floral Design and Church Flowers. All books are by Judith Blacklock.